The original, one and only international version of the Samsung Galaxy S II just joined the ranks of handsets with preview CyanogenMod 10 builds today. The thing might not be suitable for your daily driver, as it was just posted by codeworkx over at XDA-Devs, but these earlies catch up very quickly to stable releases, if history is any indication. As usual, no guarantees that everything will work, and the developers ask respectfully that there is no whining about it until the build is ready to be a stable release ROM. 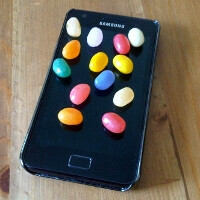 But if you want some Jelly Beans with that GT-I9100, hit the source link below and enjoy. Finally some CM10/Jellybean love for the GSII! But I'll wait for a more stable build to be released, may be in 3 weeks or so. Yeah, I have CM10 4.1.1 on my captivate - amazing on my old phone. I have to be honest, I am yet to find any Rom that actually works 100%, they always seem to have problems, phone calls, lag, force close, and a bunch of smaller anoying bugs. 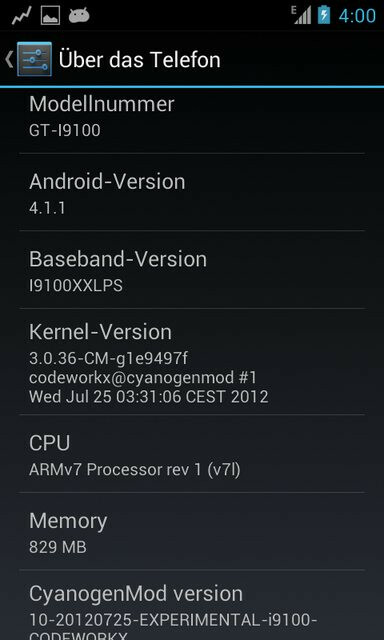 I put my phone back to original stock ICS unrooted, and works great. I'll wait for official!